Our Suites are our most spacious uMhlanga accommodation option, with one queen bed, separate lounge area and private balcony, as well as an en-suite bathroom with shower. Room options include sea facing or pool facing views. 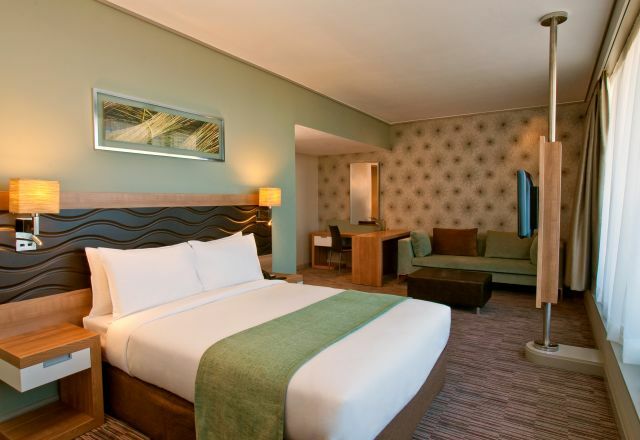 These rooms are equipped with a range of comforts that add to your stay, including flat screen television with DStv, tea and coffee making facilities, complimentary WiFi and other amenities.